1. Michael O’Leary is the only chief exec ever to write MT editor Matthew to thank him for an award. 3. A third of people are bored at work. Yawn. 4. 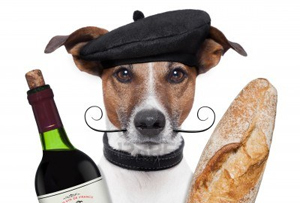 The average French worker’s lunch hour is shorter than the average Brit’s. Zut alors. 5. There are FIVE chairman jobs up for grabs on the FTSE 100. 6. RBS’s privatisation is a long way off – although the government’s Lloyds shares will be up for sale within months. 7. Siri and iMessage are both encrypted: not even the US government can hack them. 8. Mary Portas’ Portas Pilot mentors didn’t get a single call, text or email from struggling retailers. Aaaah. 9. The new Apple campus will cost $5bn - $1,500 per sq ft – to build. 10. It’s cheaper to buy yacht maker Sunseeker than to buy 30 of its boats.